All aboard! Our 7 ¼ inche gauge steam, diesel and electric locomotives are fabulous fun – particularly for little ones who are caught up in the delights of trains! 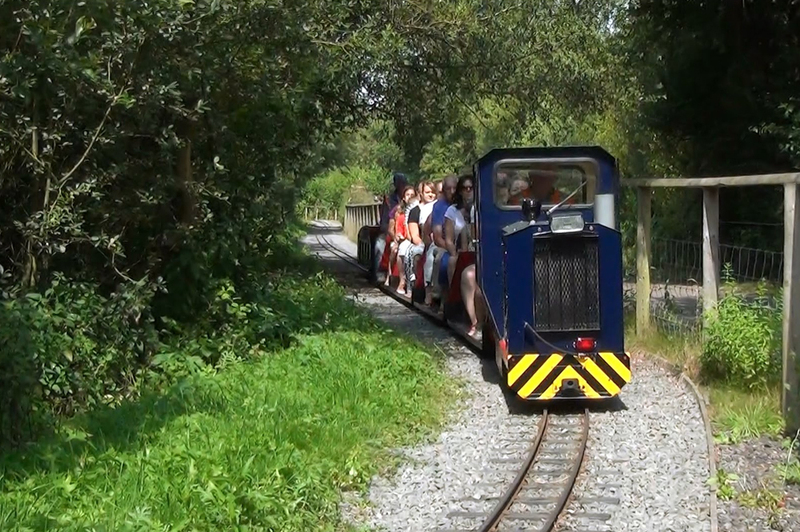 With a complete journey time of approximately 20 minutes and an optional stop at Far Leys this is a fun way to get around to the rest of the park! Start off your adventure on our 7 ¼ inch gauge locomotives with purpose built, vacuum braked coaches! 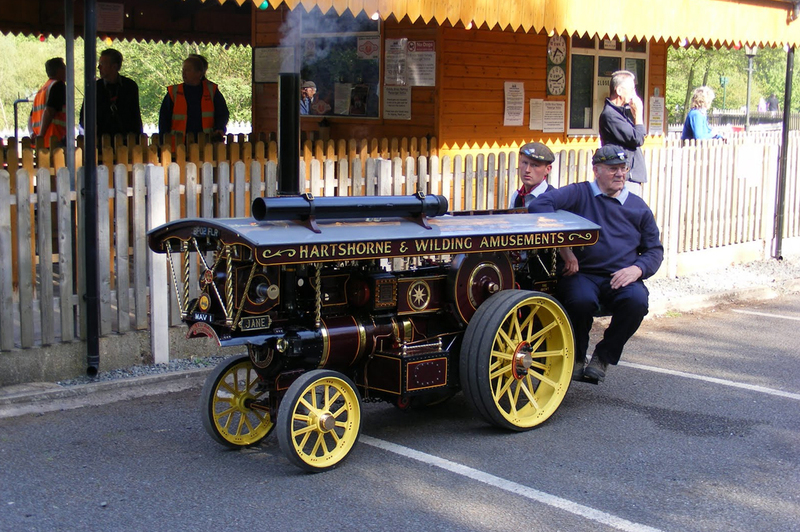 Head on over to the adventure playground, summer paddle boats and car park aboard our Echills Wood locomotives for a trip through the woodlands, try a bit of animal spotting on your way and be sure to pack a picnic as there are several picnic areas around the park covered by the route. The train ride consists of a circular tour, so if you do get off to picnic you can complete the circuit once you’ve finished and had a play on our fantastic adventure play equipment or a paddle on the boats! With over 1000 passengers daily during busy periods, this is clearly a delight not to be missed! We also operate a Halloween special evening in October and also run Santa special trains over two weekends in December. 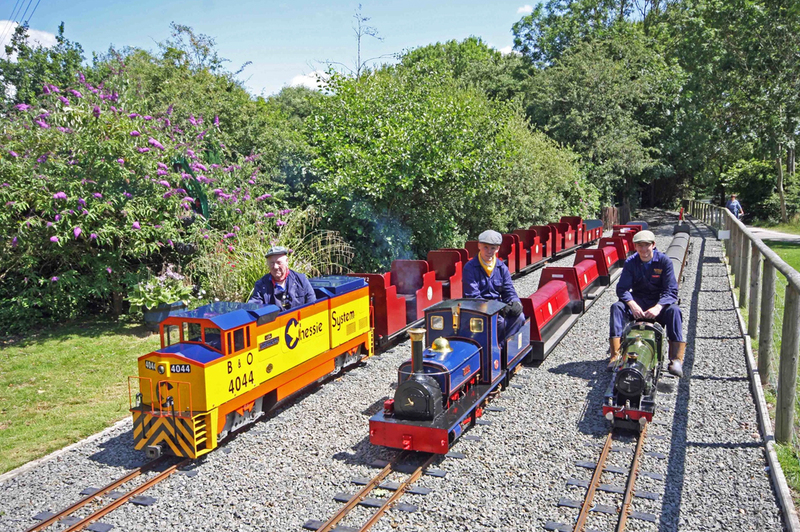 From Easter till the end of September the railway operates every Sunday from approx 10:30am to 5pm. The railway also operates on Bank Holiday Weekends. During school holidays the railway will also run subject to staff availability on Wednesdays and Fridays. 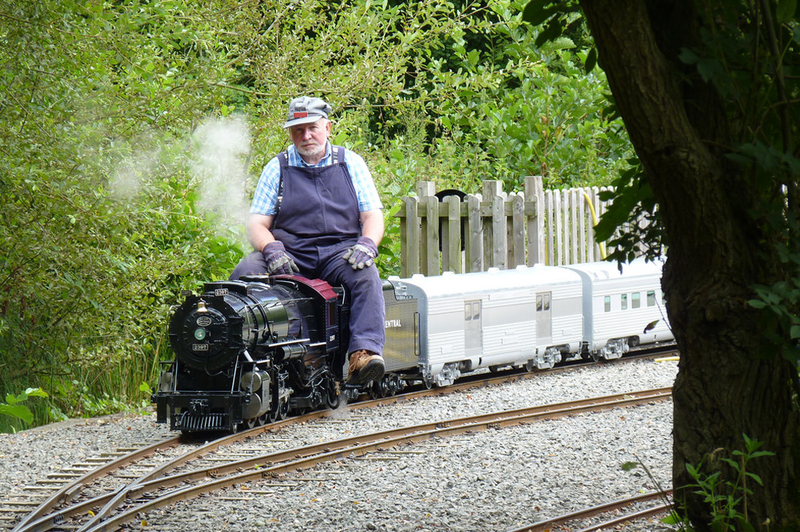 Between September and Easter the railway will run on Sundays from 11am to 4pm. £2 return for all classes (ages 2 and up) from Harvesters Station (main station). £1 single from Harvesters to Far Leys. £1 single from Far Leys to Harvesters. With a return ticket it is possible to get off at Far Leys and return on a later train.